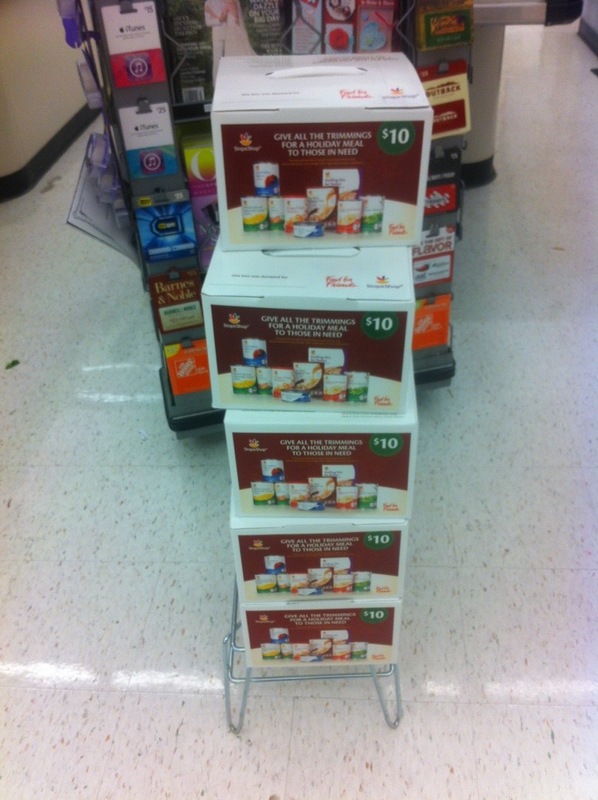 Have you seen these stacks of empty boxes at your local Stop & Shop yet? 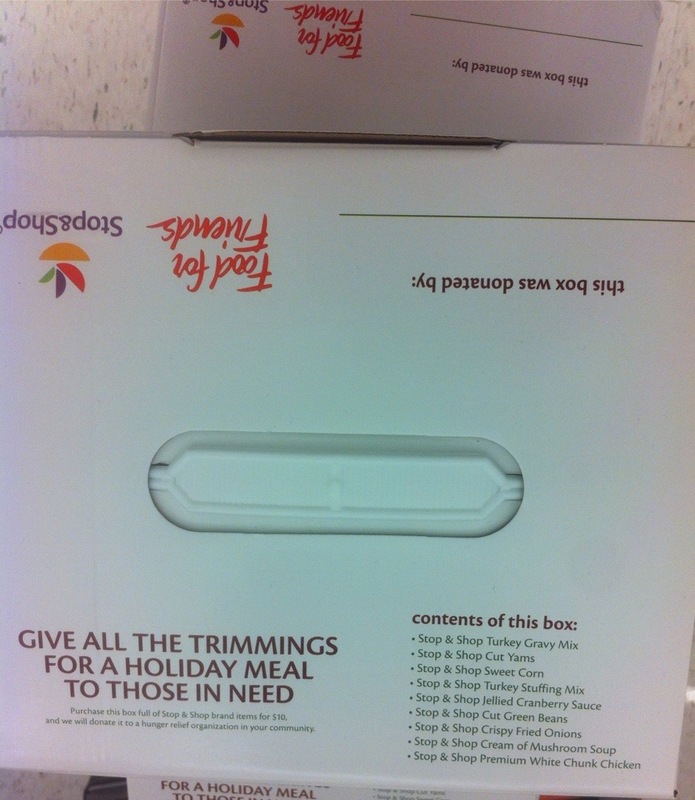 For $10 you can buy a box and “it will be donated to a hunger relief organization in your community” to give a neighboring family in need all the trimmings for a holiday meal. 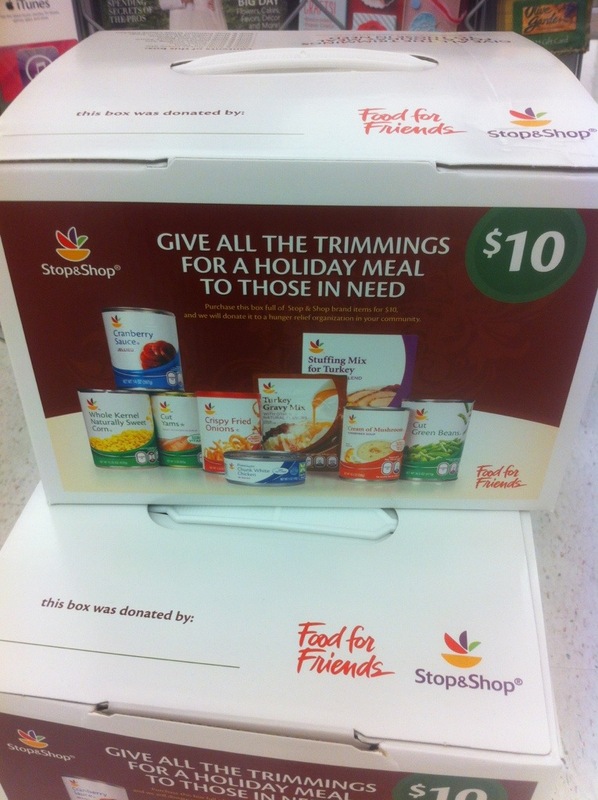 What a great way to help our neighbors in need have a holiday meal!